Does a Mobile Home Purchase Disqualify Me From FHA? The Federal Housing Administration has helped borrowers with low to moderate incomes purchase homes since 1934. Previously known as mobile homes, manufactured homes are an affordable means of housing. A manufactured home must meet certain guidelines for building and installation to qualify for FHA insurance. The FHA backs loans made by approved lenders, protecting them against losses if borrowers fail to meet their loan obligations. Both the borrower and property must pass FHA requirements. FHA borrowers purchasing manufactured homes have the benefit of a low down payment requirement of 3.5 percent. Conventional mortgage-lending institutions that finance manufactured homes typically charge higher interest rates and require a down payment of at least 5 to 10 percent. 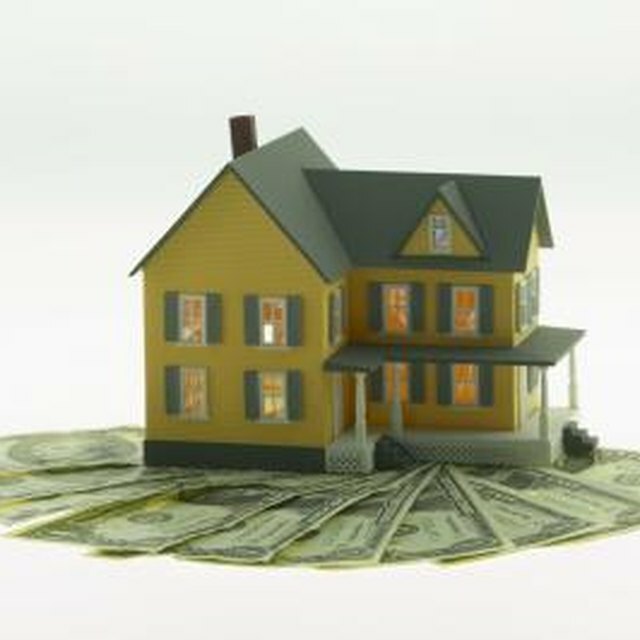 Like most conventional and FHA-insured loans, home features and borrower qualifications determine the loan costs. An FHA manufactured home meets the Department of Housing and Urban Development's minimum standards for this type of housing, known as HUD code. Manufactured housing that meets FHA and HUD standards is built after June 15, 1976. HUD-certified homes meet national standards for materials and fabrication, and are able to withstand various inclement weather events when properly affixed to a foundation. Eligible homes have labels known as HUD tags affixed to the interior and exterior of the home and paper labels known as data plates affixed inside. Manufactured homes must also be taxed as real estate and affixed to permanent foundations to qualify for FHA financing. FHA borrowers are subject to more lenient qualifying guidelines than conventional borrowers. Borrowers may use up to 31 percent of their gross monthly income for their housing payment, including mortgage principal, interest, taxes, homeowners insurance and mortgage insurance. Their total monthly obligations, including housing, credit cards, loans, may not exceed 43 percent of their income. Lenders make exceptions for borrowers who show a pattern of saving, conservative spending and additional earnings, which allow them to exceed the benchmark debt-to-income ratios. FHA offers construction-to-permanent mortgages that allow borrowers to purchase manufactured homes and pay for the cost of transporting and affixing the home to a permanent foundation. These loans require a single closing and base the loan amount on 96.5 percent of the home's value once the work is completed. The borrower must draw from an escrow account to pay for the costs of setting up the manufactured home.